Looking for an experienced developer to complete your project? If you don’t have the time or skills necessary to develop a project using Luxand solutions, simply contact one of our Luxand Certified Partners to find a professional qualified to handle the job. To find the perfect developer for your custom job, be sure to supply all the details about your project, including deadlines and budget. For more than 8 years, ACCSYS-3000 has been developing RFID solutions that help companies eliminate critical errors in data entry, shorten data collection time and significantly reduce the amount of work and paperwork needed for information processing. Our solutions are extremely reliable and we offer the lowest error rate for all technologies, including bar codes, magnetic tape and biometric technologies and equipment. Dunn Solutions Group is a full-service information technology consulting firm. We bring exceptional strategic experience, design skills and technological expertise to every project. We also offer complementary capabilities in client education . Focused on business intelligence, application development and web/portal spaces, we deliver services worldwide through our offices in Chicago, Minneapolis, Raleigh, Charlotte, Fort Lauderdale and Bangalore, India. Eresoft Ltd is a global, integrated software engineering company that provides advanced solutions and services for Aerospace, Education, Electronics, Healthcare, Land, Taxation, e-Governance, and Financial systems. Founded in 2000, the company provides many of the country’s leading commercial enterprises with large scale made-in-Nigeria solutions, delivering essential, comprehensive support and services around the clock. Guile 3D Studio was founded in 2001 by Guile Lindroth, a systems analyst and specialist in Artificial Intelligence and 3D graphic arts. For a number of years, Guile 3D Studio has been receiving financial support from a group of investors to pursue the development of its own advanced and innovative technologies involving Artificial Intelligence and Real Time Graphics. Today, we’re setting world standards for Virtual and Digital Assistants, as well as our exclusive photo-realist interface in human form. The avatars are created by a talented team of 3D artists, designers and animators, and the Virtual Intelligence system was developed by systems analysts and specialists in natural language, in collaboration with scientists and universities around the world. The first virtual assistant we created was called “Denise” and she was modeled in the form of an adult woman. Denise is connected to speech, biometric and artificial intelligence systems and is able to control different software and hardware modules under the user's command. Propix stands for reliable competence and customer-oriented solutions in the field of industrial machine vision systems. We specialize in computer vision for industrial automated inspection and we deliver high standard optical solutions for automated production lines. Because of our insistence on the highest quality, many companies in India use our vision systems and services with great success and satisfaction. We design, manufacture and deploy digital imaging components for machine vision applications. Today, our machine vision products are used by many Indian companies across multiple industries, including pharmaceutical, printing and packaging, automotive and manufacturing. Our service offerings span the spectrum from optical equipment to software stand-alone components and integrated vision solutions. AIM Consulting is an intelligent IT Company that focuses on bespoke software development for digital transformations. We help our clients to form and execute their strategy of digital transformation by turning business objectives into an executable technology roadmap. Through a tailored approach, we lead our clients towards competitive advantage. Our unique blend of business, technology and application know-how is backed by a commitment to R&D that keeps us at the forefront of technical innovation. EfCom is a dynamic software development company that provides innovative and highly efficient solutions to many clients in a variety of market sectors. Our guiding principle is to avoid narrow software-oriented perspectives. We’re dedicated to understanding our clients’ every need and taking into account all system aspects to provide comprehensive solutions. We believe that a complete understanding of requirements, specifications and constraints is crucial to success. We offer solutions for all stages of development, from consulting and system engineering, to software and hardware implementation in turn-key mode. We also provide high qualified personnel for outsourcing projects. Working with technologies is the foundation of ETA Network Systems. Our company was established in 1999 with the objective of participating in the rapid deployment of technologies in the government and private sectors. We provide information, communication and telecommunication technologies that encompass a wide spectrum of business applications. While we own an ASP (Class C) licensed from Malaysian Communications and Multimedia Commission (MCMC), our focus is on emerging technologies that can provide a leap forward for companies that embrace these types of technologies. From the very start, we’ve successfully delivered a number of projects for both the government and the private sectors and it is with this foundation that we incorporate our mission. Inttelix Security Solutions Pvt. Ltd., an ISO 9001:2008 certified company, is a leader in facial biometric security solutions that specializes in biometric engineering. Through relentless R&D efforts and by responding dynamically to the demands of the biometric security market, Inttelix has developed innovative solutions for a key legacy security problems and has become a leader in the biometric application/technology market. Inttelix offers a broad range of products based on facial biometric technology. The company also provides customized facial biometric technology solutions. KaroDash Software, Inc. was found in March 2010. Our areas of service include data mining application development, web design and CRM and database consulting and development. 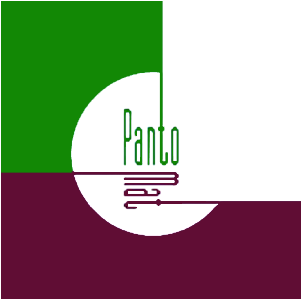 Pantomat was founded in 1994 by Szabo Lorant. All our employees meet high educational qualifications and speak English. We focus on software development, including technical and 2D and 3D graphics solutions and the development of CAD applications. Our products run on Windows, Macintosh and Unix platforms, using C/C++ and Java programming languages. Our software is used by companies throughout the world and our products are available either directly through us or through our distributors. PCC Electronics is a leading intelligent CCTV system developing and manufacturing company. Our registered brand names include ICS (CCTV cameras) and 3D EYES (DVR cards and devices), which are distributed by a wide network of dealers throughout Turkey. Our thriving R&D department develops products and services in the areas of image processing, hardware development and software development based on images. RL Software is a software development company specializing in Time & Attendance and Door Access solutions. We manufacture our own interfaces (relay board, input board, digital clock, keypads, and readers). We also manufacture an innovative Face Recognition Standalone Unit, which allows any software company that doesn't have the resources to implement face recognition technology to interface their solution thru TCP/IP. Since 2002, SAOMAI Software has been the leading provider of software outsourcing services in Vietnam. We offer more than 9 years of experience in outsourcing software development and providing customized software services for clients in Japan and the U.S. With a large pool of young and talented employees, we deliver high quality services, including software development and maintenance. Our team members are responsible for the development of major commercial software products and web applications. We specialize in developing software for organizations that incorporate our work into their product offerings, marketed under their own company or brand name. Our reputation for proficiency, integrity and trust leads to many referrals and repeat business. Soluciones Documentales is known for its quality, innovation and professionalism. We deliver solutions that focus on our clients’ needs. We serve clients in the banking and service industries as well as the industrial and governmental spheres. Our clients rely on our ability to interpret their needs and collaborate with them to reach their specific goals. Our products are produced by a team of highly qualified professionals who are offer in-depth expertise on large projects using advanced hardware and software technologies. We also offer consulting and outsourcing services and we maintain and develop turnkey projects. Based in the U.S., Volia Software is an IT services company focused on the delivery and support of superior business solutions. Our capabilities utilize the combined power of 900 technology professionals based in our development centers in Ukraine. We work closely with a wide range of clients, from the newest startup company to some of the most powerful corporations in the world, to deliver quality technical solutions across a wide spectrum of technical and business needs.